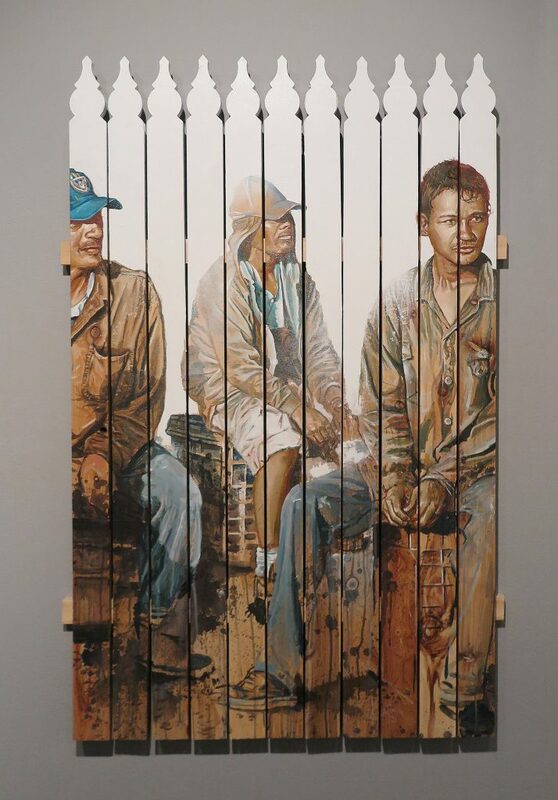 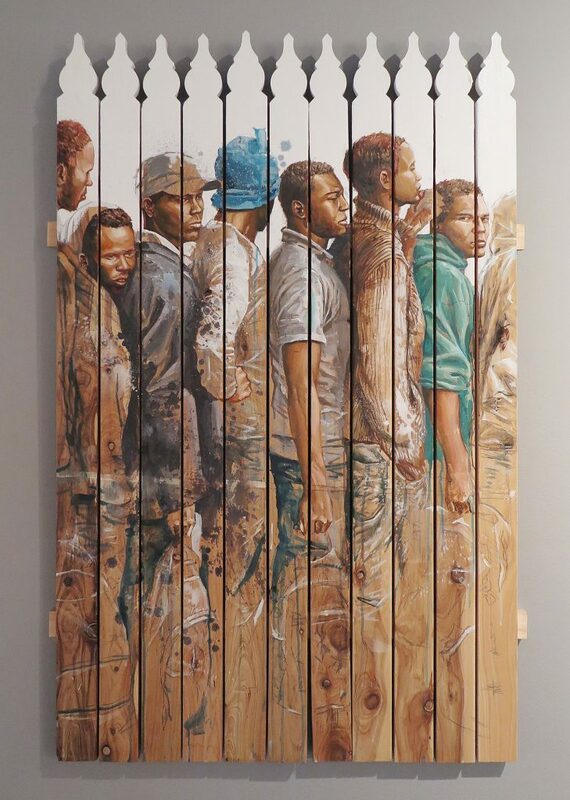 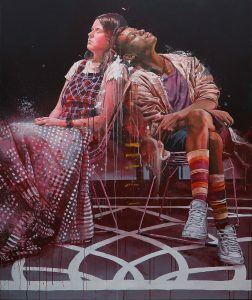 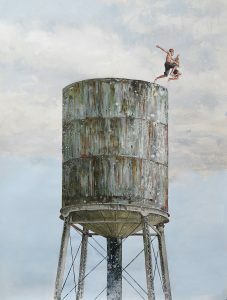 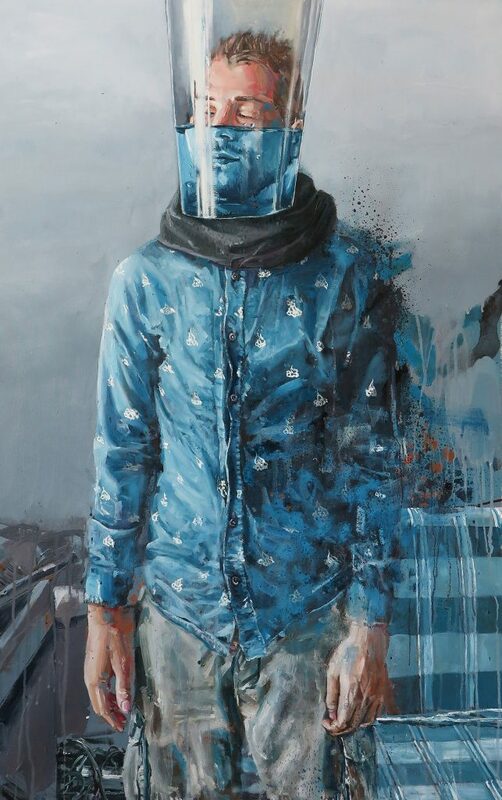 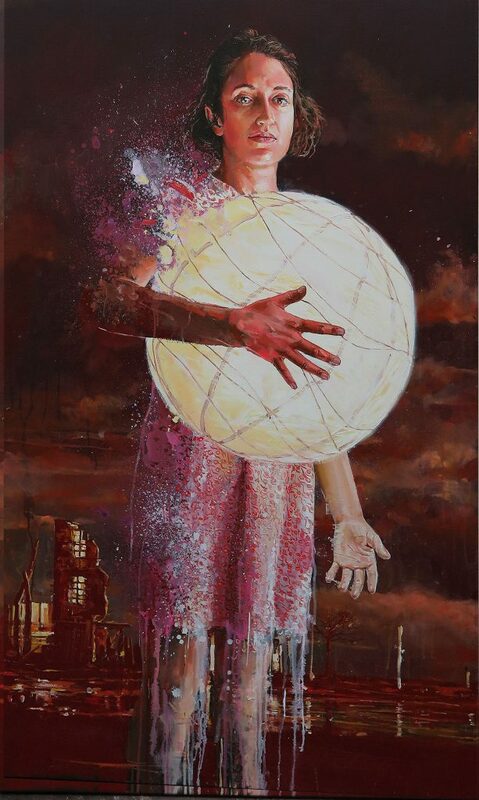 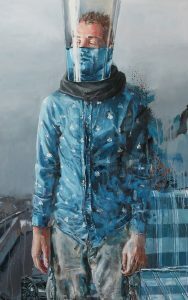 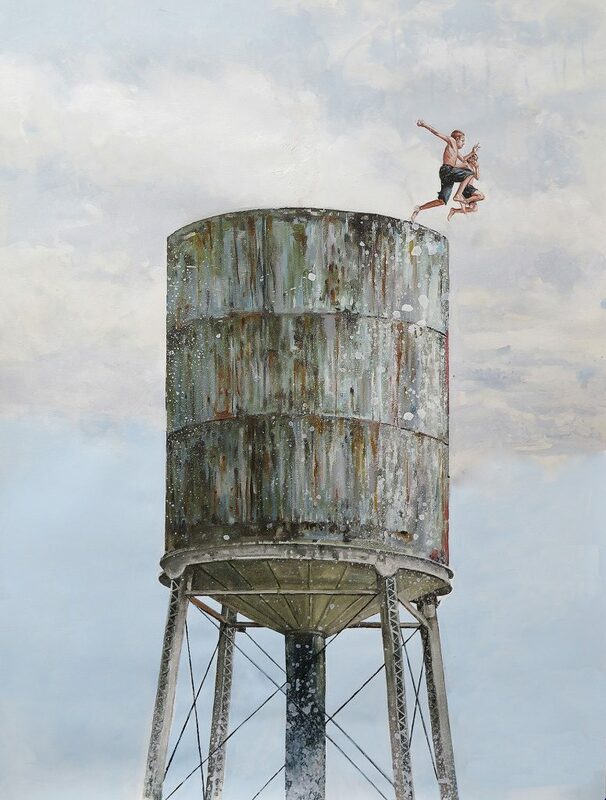 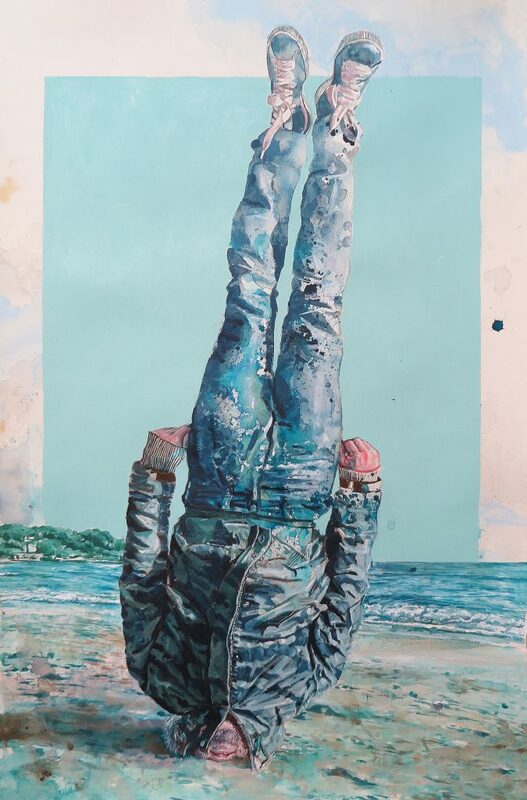 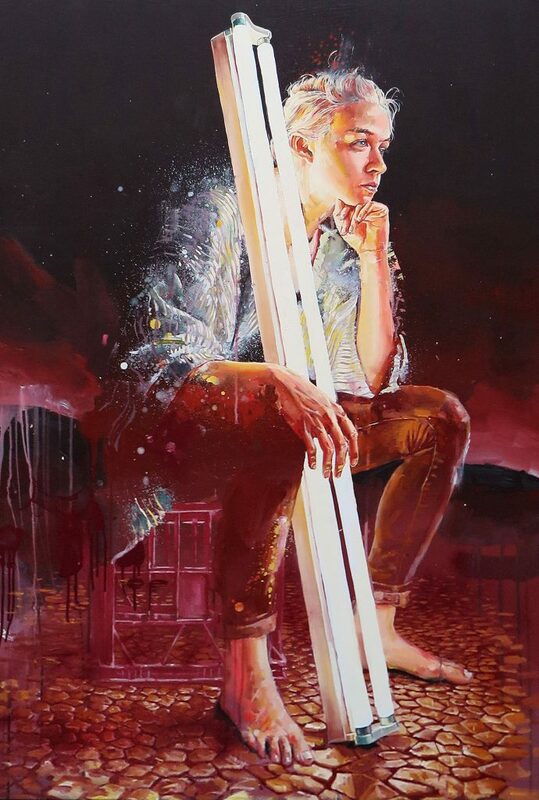 Fintan Magee is an Australian street artist known for his murals throughout Australia and the world. 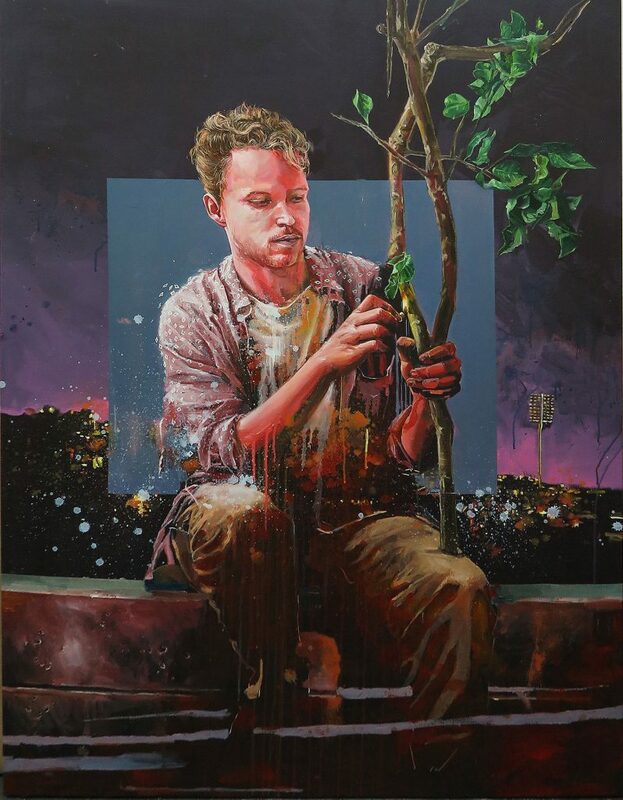 Born in Lismore New South Wales he grew up in Brisbane, gaining a reputation as a graffiti writer before obtaining a fine arts degree and relocating to Sydney. 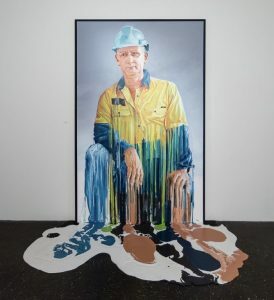 He has been described as ‘Australia’s Banksy’ by a number of media outlets although Magee has stated in various interviews that he hates this and that such comparisons are the result of ‘lazy journalism’. 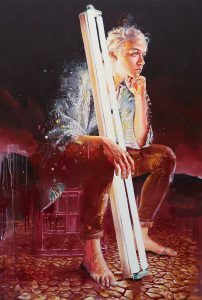 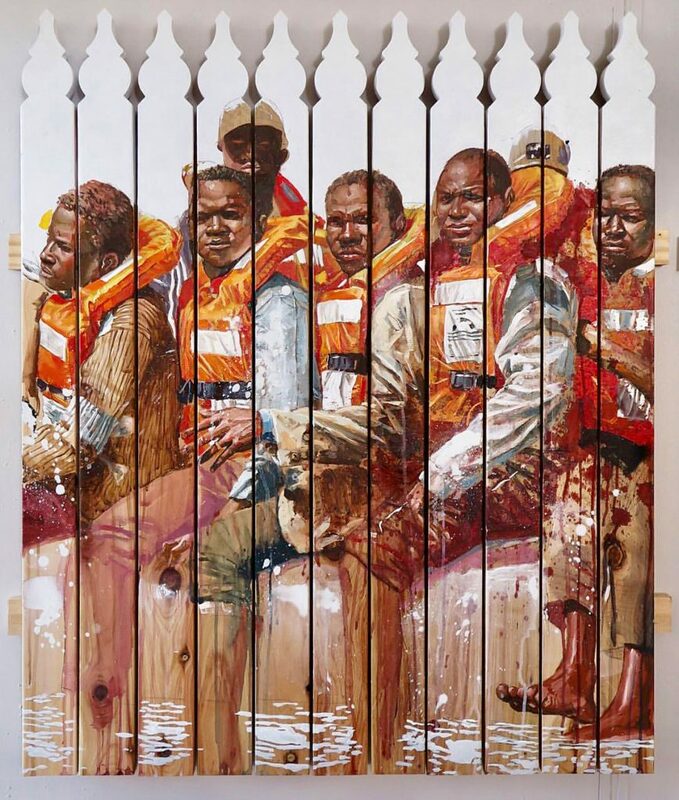 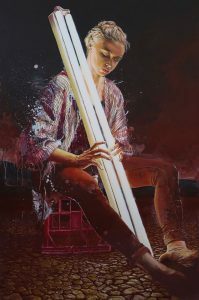 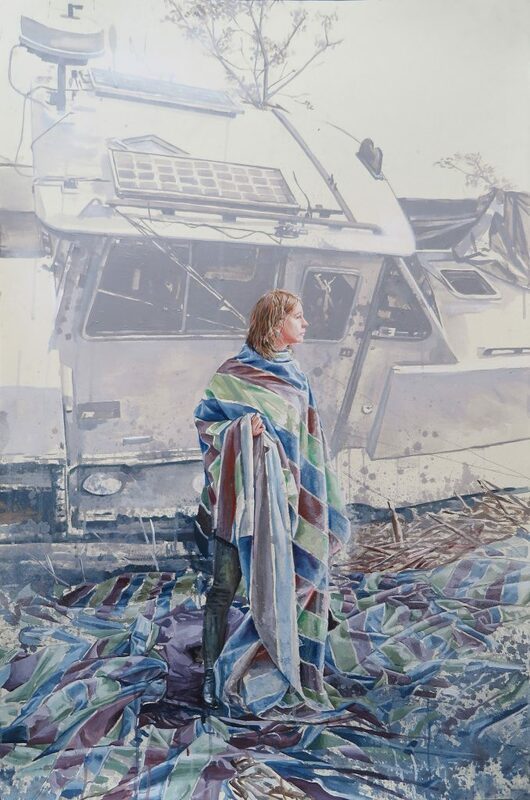 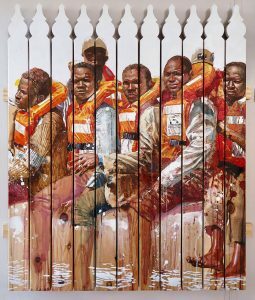 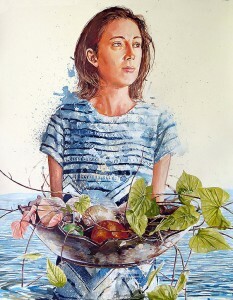 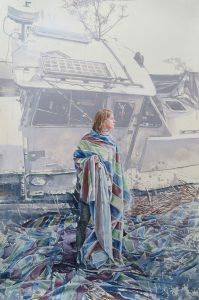 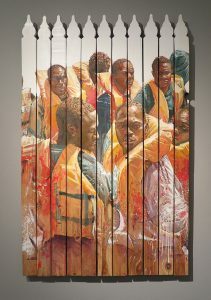 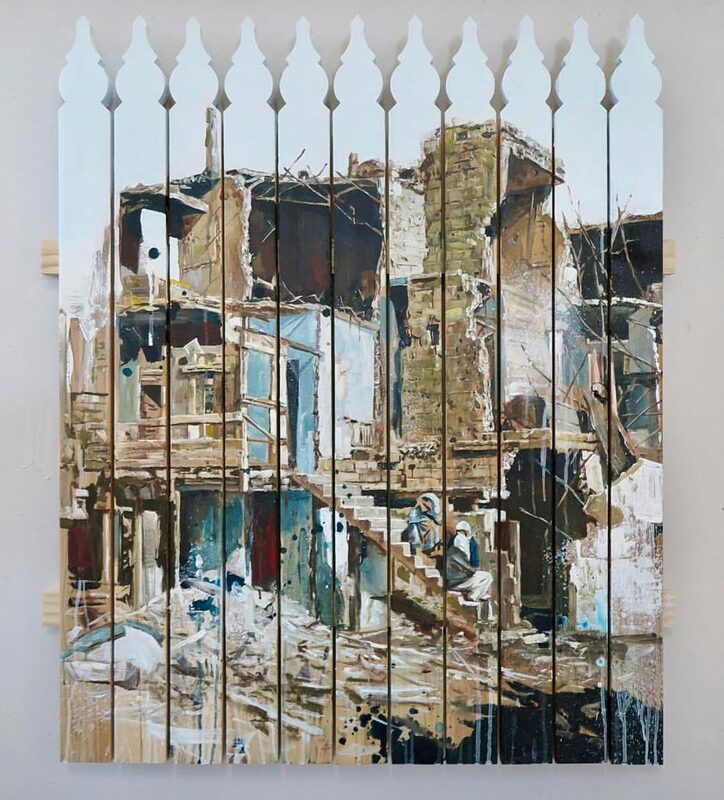 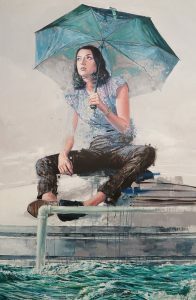 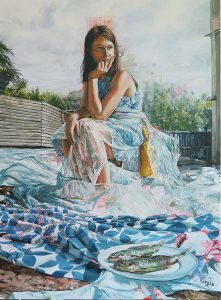 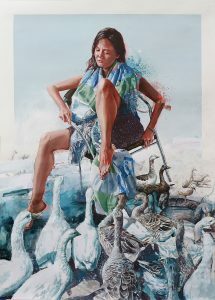 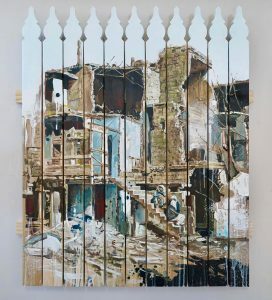 His work often deals with environmental issues, in 2015 his solo show at Backwoods Gallery in Melbourne was themed around his own personal experiences in the 2011 Brisbane floods. 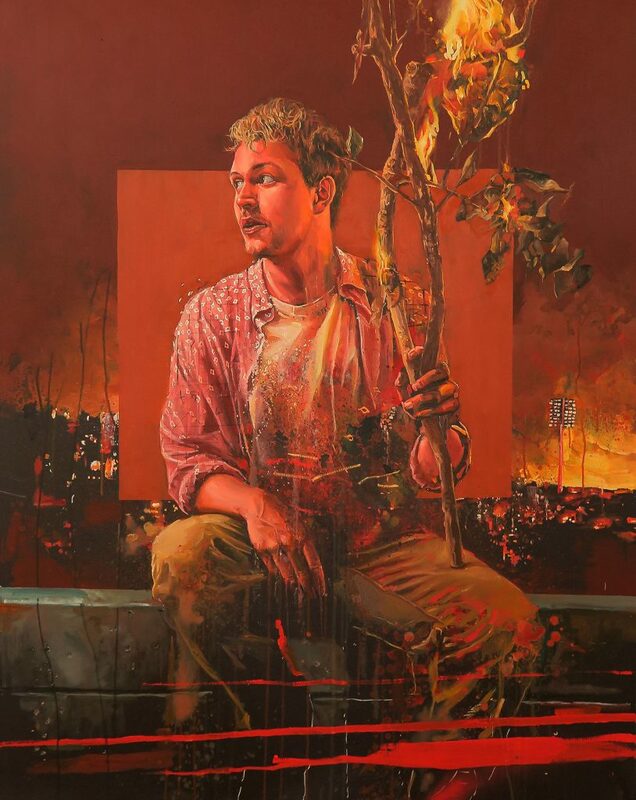 He often uses personal stories to talk about broader issues like climate change and the migrant crisis. 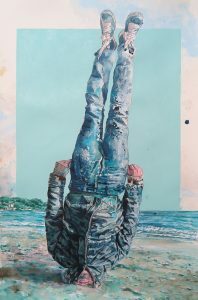 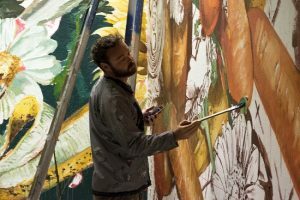 He received national acclaim for his mural depicting Felix Baumgartner in Brisbane, and has participated in various public art festivals in Australia and abroad. 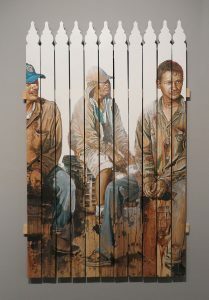 Along with other recognized street artists from around Australia, Magee contributed to Toowoomba’s “First Coat” program.